Under regular supervision, must be mentally and physically capable of maintaining the safety, security and welfare of inmates, staff and the general public through effective and efficient inmate management and daily maintenance activities. Processes inmates for admission and release; supervises inmate activity and completes required reports. Reports to the Sergeant or Lieutenant as assigned. Performs manual and computer booking procedures for inmate admissions and releases, including inmate searches, showering, photographing, fingerprinting, logging and storing of property, etc. Processes new inmates into housing unit. Supervises the activities of inmates throughout the Detention Center facility and grounds, enforcing inmate rules and regulations. Conducts formal and informal head counts. Monitors cells during lockdown period. May inspect housing unit for cleanliness and safety; requests maintenance of inmate facilities and monitors maintenance activities as needed. Performs cell searches; monitors inmate behavior in housing unit. Monitors the security of the Detention Center and surrounding grounds. Maintains daily shift report logs and ensures all inmate paperwork is complete and accurate. May supervise inmate cleaning and other work detail responsibilities; issues and monitors the use of supplies and equipment. Ensures that all inmates are properly dressed; coordinates inmate activity associated with showers, TV, visitation, use of the telephone, laundry, canteen, meals, attorney meetings, inmate programs, etc. Issue supplies and mail to inmates as needed. Assists medical staff in treating inmates and distributing medication. If designated as Transportation Officer, will be responsible for transporting inmates to and from court, doctors’ offices, hospitals, attorney’s offices, funerals, etc., as needed. Secures inmates prior to being transported. Responds to situations, which pose a threat to inmates, staff or the public. Attends required periodic training sessions and seminars. Receives, reviews, processes, prepares and/or submits various records and reports including shift reports, routine reports and forms, logs, inmate request forms, incident reports, warrants, booking reports, medication forms, search and seizure forms, maintenance reports, memos, etc. Operates a vehicle and a variety of equipment such as a computer, printer, typewriter, copier, calculator, restraining devices, telephone, fingerprint kit, I.D. camera, security control panels, radio, alarm, air pack, etc. Exercises care and safety in the use of equipment and tools required to complete assigned tasks. Interacts and communicates with various groups and individuals such as the supervisors, co-workers, law enforcement personnel, inmates, family members, clergy, visitors, medical personnel, attorneys, Department of Corrections personnel, and the general public. Provides court testimony as required. Conducts visual and auditory surveillance for extended periods of time. Requires a high school diploma, successful completion of prescribed course of study at the S. C. Criminal Justice Training Academy and possess related certification(s), or an equivalent combination of education, training and experience that provides the required knowledge, skills and abilities. Must possess a valid state driver’s license. PLEASE PRINT ATTACHMENTS…INFORMATION NEEDED TO ACCOMPANY APPLICATION. Applications are accepted through the Florence County Human Resources office, located at 180 N. Irby Street, Room 605, Florence,SC 29501 (843) 665-3054. Outside of Florence County please contact our office for an application. 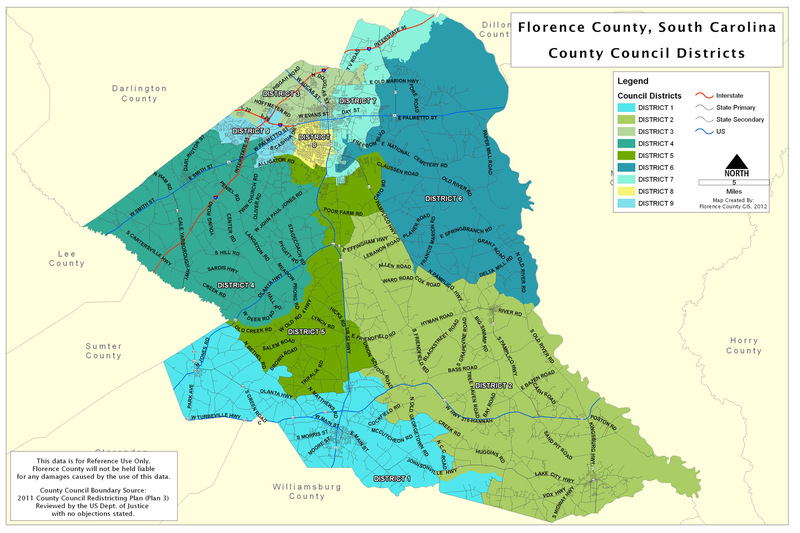 Florence County is an Equal Opportunity Employer, M/F/H/V.